We are pleased to welcome LEONARDO Helicopters among the FFF partners and sponsors. Leonardo’s Helicopter Division performs research, design, development, production, customer support and marketing of the company’s extensive range of modern helicopters for commercial, public service, security and defence applications. The Helicopter Division manages the entire helicopter development and production cycle. Manufacturing facilities, concentrated in Italy, the United Kingdom, Poland and the United States, are fully integrated and are organised around ‘centres of excellence’ that support the final assembly lines. Final assembly lines are located in Vergiate and Tessera (Italy), in Yeovil (United Kingdom), in Świdnik (Poland) and in Philadelphia (United States). Current production covers all the main helicopter weight categories, from the 1.8 tonne single-engine SW-4 to the 16 tonne three engine AW101. Other products include the fast and flexible AW119Kx single engine, the AW109 Trekker and the AW109 GrandNew light-twins, the brand new AW169 twin engine, the multi-role AW159, the bestselling AW139 intermediate twin, the AW149 medium twin, the latest generation AW189 and the NH90. The AW139, AW169 and AW189 family of new generation helicopters, all feature the same design philosophy and the same certification and safety standards. 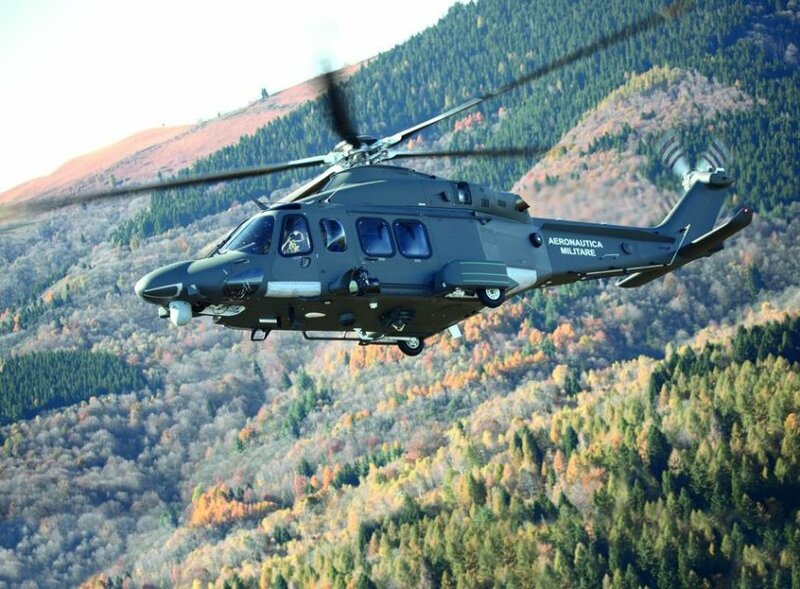 The AW139M has been developed to meet the stringent military and civilian certification requirements of military, homeland security and government users and can perform a wide range of missions including: Surveillance, Utility, Troop Transport, Special Forces Insertion/Extraction, MEDEVAC/CASEVAC, Command & Control, and Fire Support. Combining state-of-the-art technology, unmatched performance and unrivalled safety, the AW139M is the best solution in the most challenging conditions, all over the world. The Helicopter Division provides customers with efficient logistics and maintenance support in order to increase operational availability of their helicopters while reducing through life costs. This means offering commercial and military customers optimised aftersales support and training solutions tailored to their specific needs. We are ready to meet the future, developing our ability to understand customers’ needs and work with them to meet and exceed their expectations providing timely and efficient solutions. New products being developed include the 200kg class AWHERO Rotary Unmanned Air System. Capable of being operated on land and at sea, it meets the tactical surveillance requirements of government and military customers either as a stand-alone system or teamed with manned helicopters such as the AW159 maritime helicopter. The AW609 TiltRotor combines the advantages of a fixed wing aircraft’s speed with the helicopter’s ability to hover into one platform and provides fast long range transportation for the VIP, Offshore, SAR and Government markets. In addition to its own research and development activities, the Division is actively involved in many collaborative research programmes with major European aerospace companies.